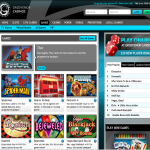 This is an online casino which is immensely popular with players based in the United Kingdom. Grosvenor Casino can be played in English, and naturally accepts the UK pound sterling currency, alongside the euro and US dollar currencies. 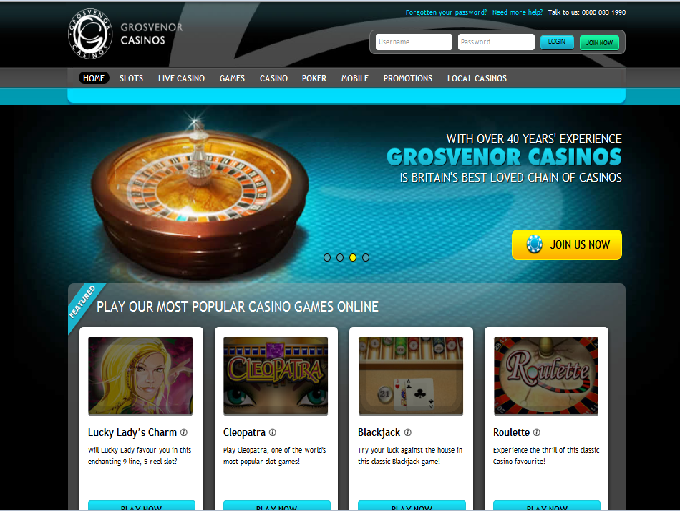 Licensed out of Alderney and by the UK Gambling Commission, Grosvenor Casino is one of the top places you can play your favourite online casino games in the UK. 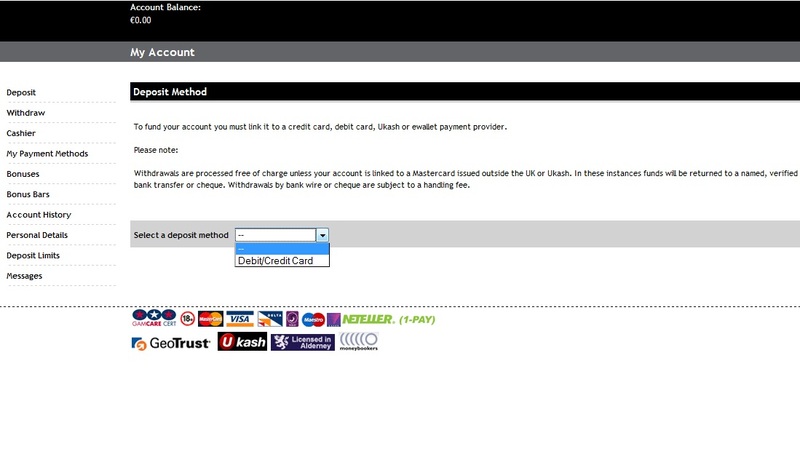 Players have several top banking options open to them at Grosvenor, including your usual MasterCard, Neteller, PayPal, Skrill, and VISA options. Players are also at liberty to contact customer support via phone, live chat, or e-mail for all the help and assistance they may require. Everybody loves a good bonus, and Grosvenor Casino has plenty to offer. Not just for players at the casino site itself, but bonuses which can be claimed in the land-based venues that Grosvenor runs across the UK. 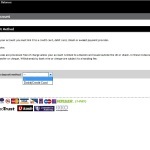 Grosvenor Casinos all players a £20 bonus when they deposit at the site, as well as a £20 no deposit bonus just for signing up. Grosvenor Casino also runs several other top deals which players find appealing, such as Game of the Week deals for slots and live dealer titles, as well as loyalty bonus offers. 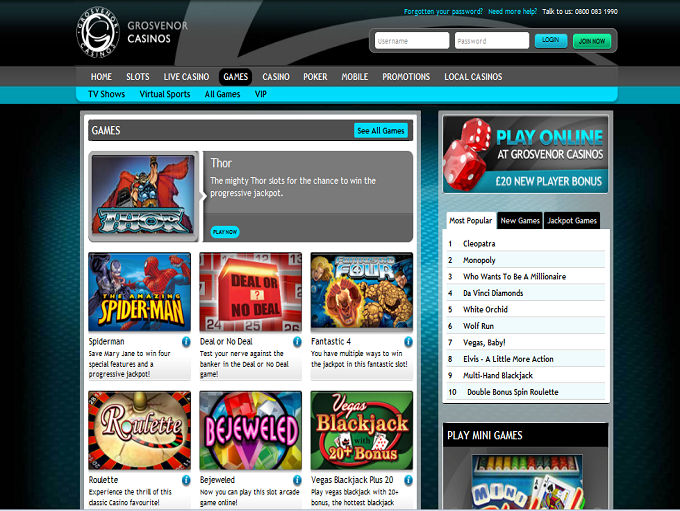 This is an online casino which features Playtech software to run its domain. Whilst this does mean that there is a vast array of Playtech powered games for you to entertain yourself with at Grosvenor, there are other games you can play, too. These games include Ash Gaming, Amaya, Bally, Cozy Games, IGT, Microgaming, NextGen Gaming, and WMS Gaming titles. 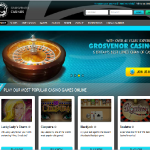 Players will find that Grosvenor Casino is equipped with a complete suite of casino games. Traditional casino games titles such as baccarat and blackjack, to roulette and poker are all playable at the casino, as are video poker and slots. Live dealer casino game is also a must for any player who wishes to try their hand at the most realistic type of casino gaming currently available on the net. If you’re a slot lover, why not try Microgaming’s legendary Thunderstruck II slot, IGT’s big money Cleopatra Plus, or the award-winning simplistic Net Entertainment title, Starburst? All of these can be found at Grosvenor. Only the following countries are allowed at this casino: United Kingdom, Gibraltar, Ireland.